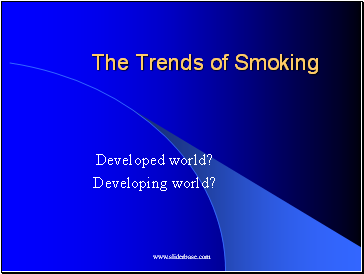 Serious widespread smoking did not start until the second half of the 20th century. 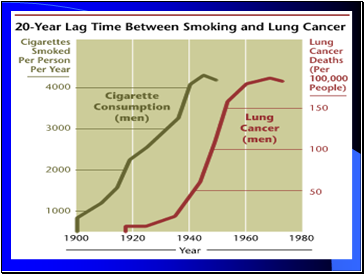 In the 1950’s there was a lung cancer epidemic. There are now over 35,000 deaths per year from lung cancer. In general, 50% of smokers die from a smoking related disease. This is where chronic bronchitis and emphysema occur at the same time. The disease is responsible for 30,000+ deaths a year in the UK. 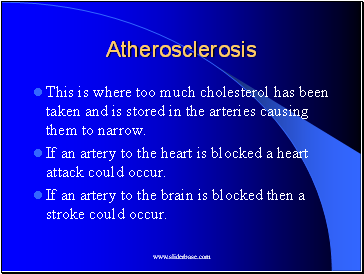 It is very rare in non-smokers. 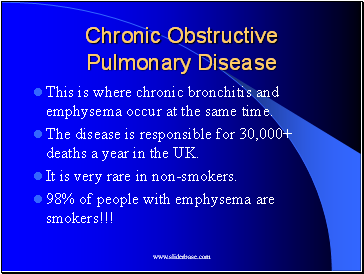 98% of people with emphysema are smokers!!! 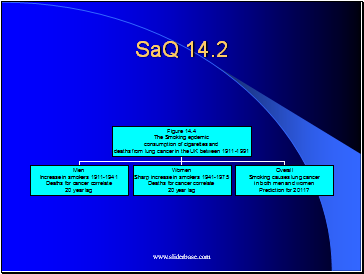 Smokers are 18 time more likely to develop lung cancer than non-smokers. 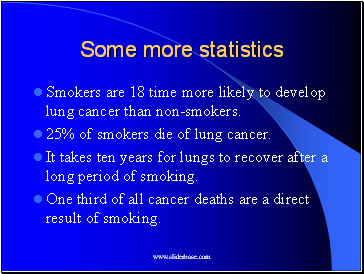 25% of smokers die of lung cancer. It takes ten years for lungs to recover after a long period of smoking. One third of all cancer deaths are a direct result of smoking. 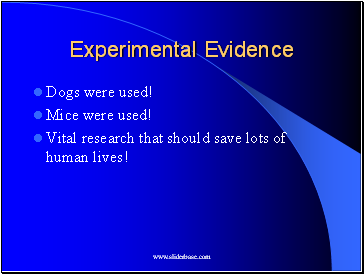 Vital research that should save lots of human lives! One group of dogs were made to smoke filtered cigarettes. 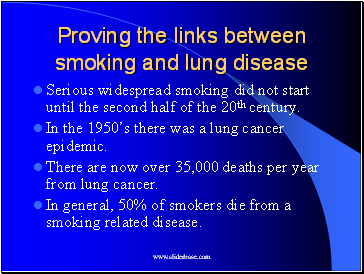 They did not get lung cancer but did produce cancerous cells in the lining of their airways and mouths. One group of dogs were made to smoke filter-less cigarettes. They did get lung cancer. Smoking machines extracted the chemicals in smoke. Carcinogens and co-carcinogens were found in the tar. When the tar was rubbed on the back of a mouse. The skin formed cancerous cells!! !